I want to start using a straight razor, what should I do? 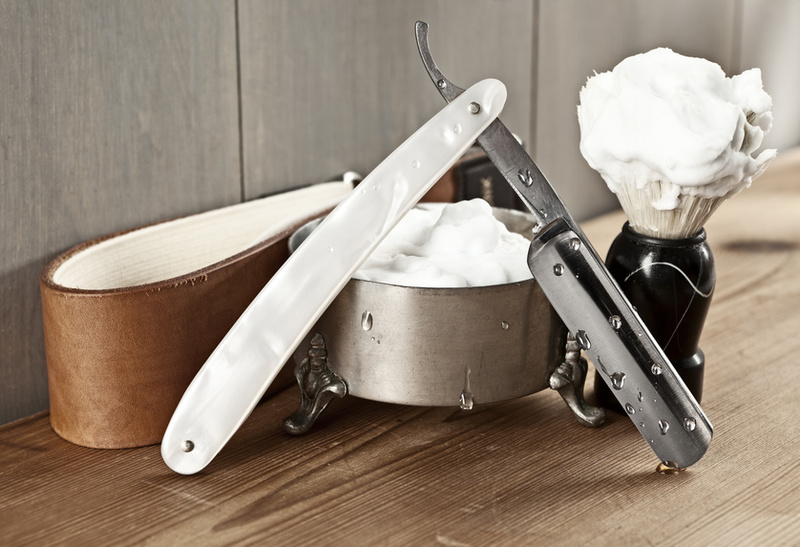 We get a lot of questions from our customers who want to learn more about the basics of straight razor shaving, so we’ve put together some FAQ’s on straight razor shaving to help! Happy Shaving. 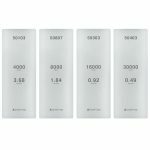 Which straight razor should I use? If you’re new to wet-shaving, starting modestly with a 5/8” or a 6/8” blade, like the Boker King Cutter Straight Razor 5/8”, or something similar is ideal. You want to select a model with a round point, avoiding sharp end points and the likelihood of cutting yourself. With experience, you can graduate to square, sharp, Spanish or French point blades. How should I maintain my razor? 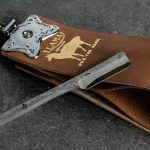 To start, you should purchase a very affordable leather strop; a strop is a strip of leather used to straighten and polish the blade of your straight razor. 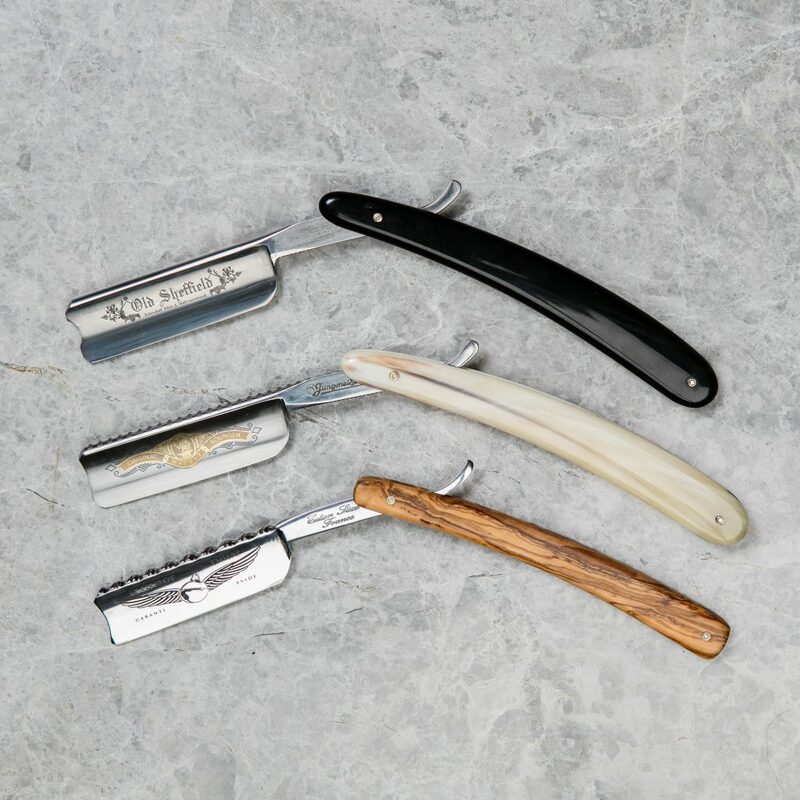 It’s a vital component of your straight razor maintenance routine as it re-aligns any indentations without removing any steel from your blade. 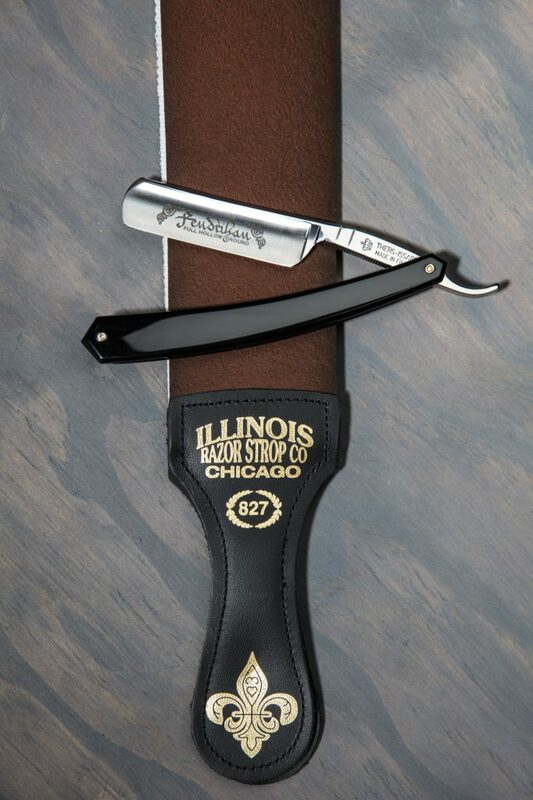 An introductory strop, such as the Illinois Razor Strop Co. 206 Hanging Razor Strop, is recommended to start since there’s a good chance that you’ll cut or chip the strop when first starting. Along with a strop, you’ll also need a strop paste, such as the Thiers Issard Razor Sharpening Paste, to occasionally refresh edges. Strop paste is a non-toxic compound specially formulated with diamond particles and aluminum oxide to ensure sharp and polished edges. Learn how to strop here. How often do I have to use my strop? 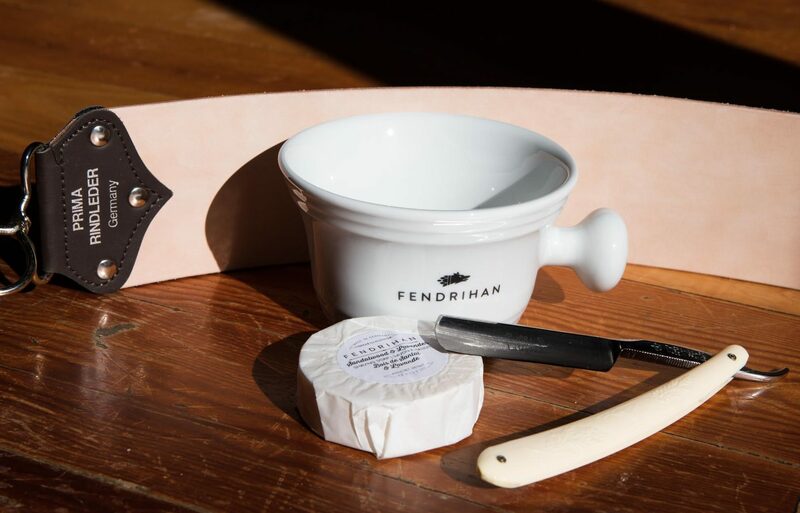 As a general rule, if you’re no longer getting a great shave from your razor, use some paste on your strop and sharpen your blade. What does the razor sharpening process entail? Once you’ve selected a strop and paste, you’ll need a few hones. The sharpening process starts by using a lower grit hone and then working your way up. For a beginner, we suggest you use a paste instead of a stone but stick to the grit progression as outlined above. TIP: Only use one type of paste should be used on each strop surface. Mixing pastes with different grit ranges on a single surface will alter the grit range and potentially damage your blade. Honing your razor should only be done about every 2-6 months, depending on your beard and the frequency of your shave, but regular stropping is needed. Do I really need a paste, won’t the strop do? 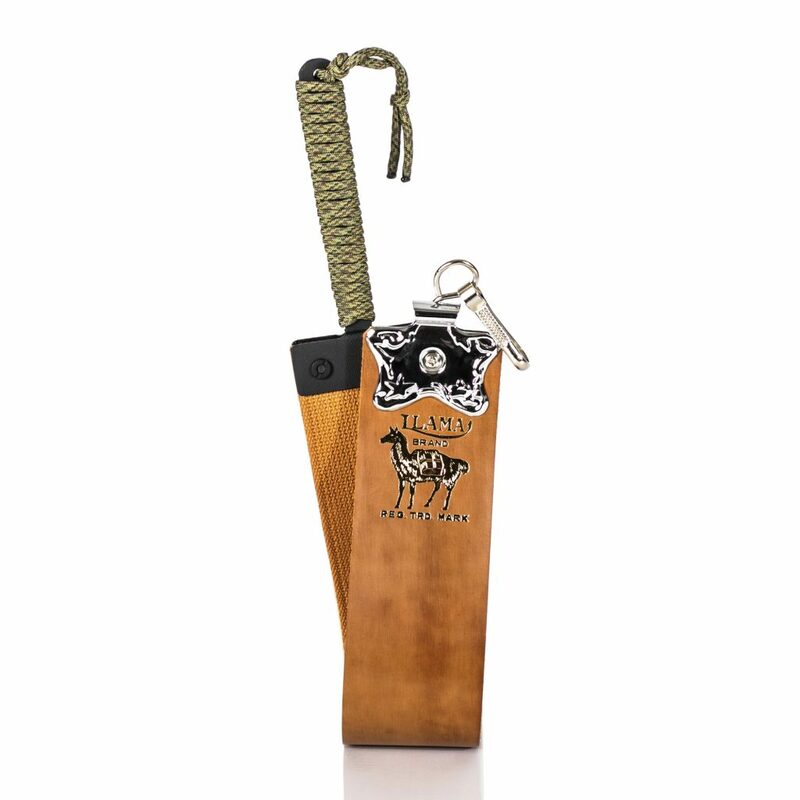 A leather strop by itself will not keep your razor sharp. As a beginner, you will need to use a strop paste, and as you progress you can move on to a hone. 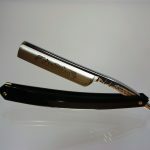 All straight razors will come factory honed but will still require a bit of stopping and honing before use. I didn’t realize there was so much to keeping the blade. I think I will stick to the safety razor. I’m really glad I read this before just buying things and hoping for the best. Thanks.